A sweet way to celebrate a graduation, promotion, career change, or just being a good human being. Winning gold in the pole vault is pretty cool. But winning at life? That's a game-changer. 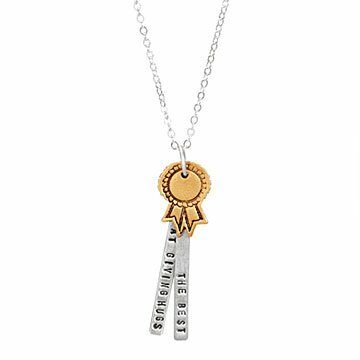 Award a loved one with one of Christine Street's whimsical necklaces, whether they've medaled in Dreaming Big Dreams, Taking the Leap, or Giving Hugs. It's a sweet way to celebrate a graduation, promotion, career change, or just being a good human being. Handmade from silver and gold vermeil in California.